The WOS/SOW is now a proud member of The Orchid Conservation Coalition (OCC), a grassroots organization made up of people, orchid societies, and orchid businesses dedicated to raising awareness and money for orchid conservation. It is through networking that people and organizations concerned with orchid conservation can be the most effective. The exchange of information among participants and non-profit orchid conservation organizations will make conservation a real aspect of orchid growing for the average orchid grower and orchid society. 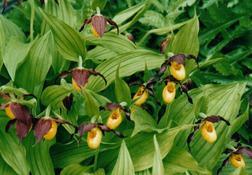 They can actively engage in and contribute to orchid conservation. If you have suggestions or ideas, please contact us.